The detection rates are very low (0-10/46) considering the samples are ITW for quite some time, but the reasons probably are as follows. 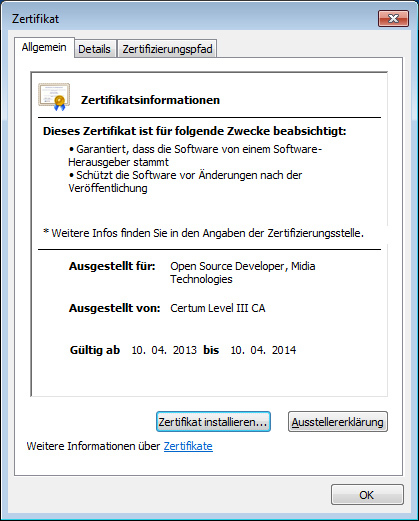 The downloader was built with the public available tool GetRightToGo (Pro) and signed with the "Open Source Code Signing" certificate from Certum (http://www.certum.eu/certum/cert,offer_cert_comparision_cs.xml). Maybe the certificate was stolen or legally acquired and then misused. 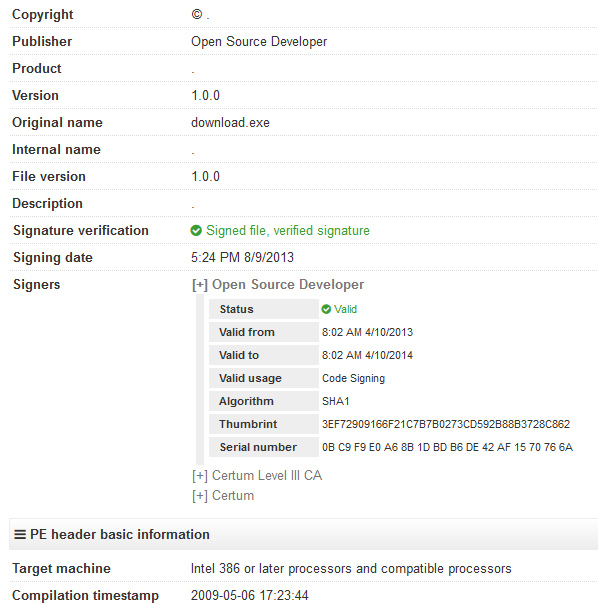 That's all about this signed downloader. 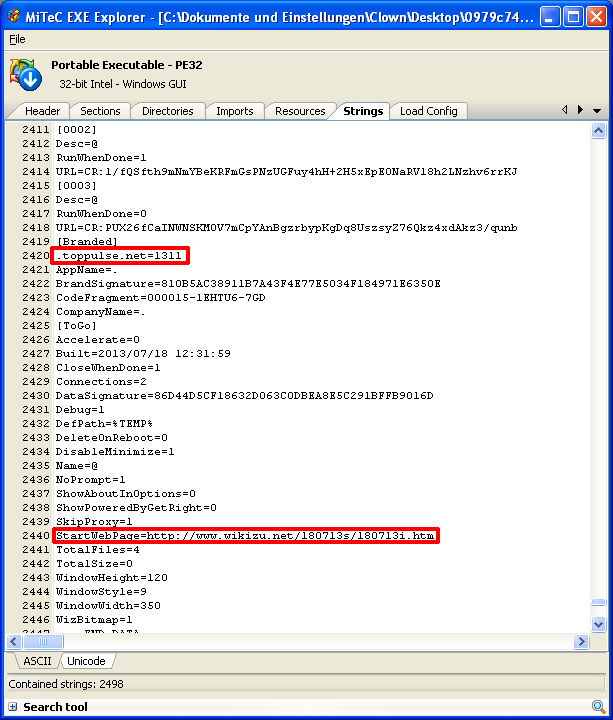 Hi , currently i am doing research in adware , do you have others sample besides mentioned above ?